The foundation of our campus recruiting program starts with interns who have the drive, innovation and passion to become the best. Our interns grow and develop through unique opportunities and challenging experiences. Not only do we offer a Data Research Analyst internship that allows students from all majors to develop their resume through spending time in a professional environment, but we also offer "Advanced Internships" for students whose college majors are aligned with our full-time positions. 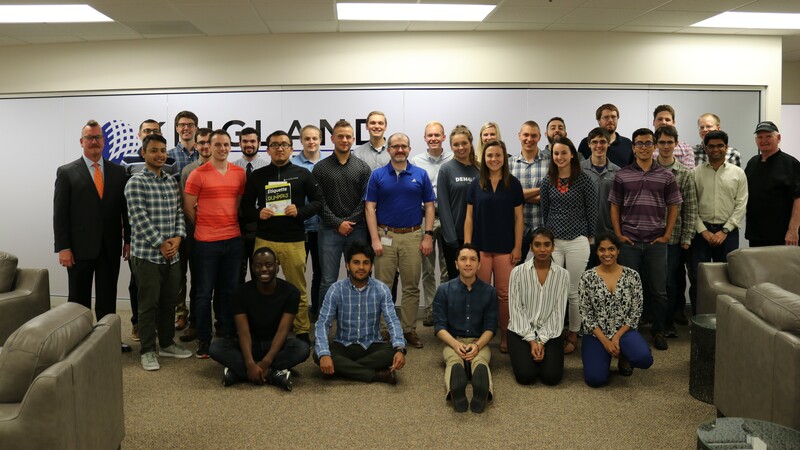 Our advanced interns work directly on teams with our full-time employees, solving the same problems and using the same cutting edge technology as our full-time employees. 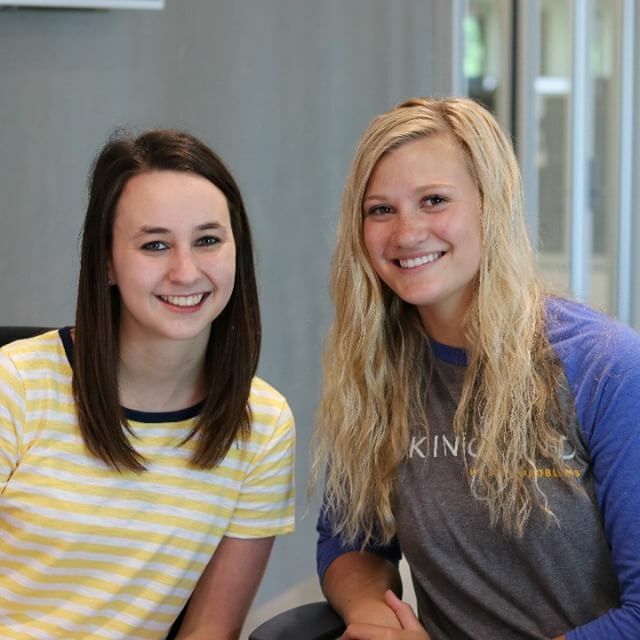 Explore our current internships within the business side at Kingland. The position of Business Analyst within the Product Team heavily focuses on the User Interface and User Experience within the 4th Generation of our Kingland Platform. Meeting with client and internal stakeholders to determine business requirements while utilizing those requirements to create innovative and industry leading software is a focus area for this position. The business requirements and mock-ups help support the Development Teams in both US and China locations. Validation and testing of the development work is ongoing while ensuring the approach and vision of the stakeholders is achieved. The Client Success Analyst serves as the entry point of contact for the client, is responsible for multiple clients and solutions, and is responsible for day-to-day client success activities spanning from initial stages of onboarding to continued engagement and retention activities. The Client Success Analyst must gain an understanding of each client’s unique business needs, monitor for solution utilization, support, other key metrics, and related triggers, raise opportunities for growth to a Client Success Manager, and champion client responsiveness and issue resolution. Strong communication and relationship skills are a must for this position as client success analysts maintain and cultivate client relationships over a period of several years. Client Success Analysts must be able to identify ways to engage productively with clients and internal Kingland teams. Our business analysts who have a passion for working with our clients and maintaining strong relationships have the opportunity to transition into a client success analyst role during their Kingland career. The Business Development Analyst provides end-to-end analysis supporting the B2B sales and marketing functions at Kingland. From analyzing competitors and market opportunities, to developing lead generation strategies, to engaging with prospective clients and presenting relevant product and solution information, the Business Development Analyst helps Kingland grow. A successful Business Development Analyst must possess strong analytical skills, a business mindset, and be a fast learner of complicated topics and technologies. These skills are applied every day to managing a changing set of priorities, developing high quality documentation and presentation materials, and coming up with new ideas. With exposure to marketing and sales, the Business Development Analyst role provides excellent exposure to career growth opportunities. Project Managers within the Professional Service team are responsible for managing engagements/projects that are delivered to our clients. Organization and prioritization are crucial for our project managers as they typically juggle multiple engagements at any given time based on the need of the engagement. The Project Manager is responsible for creating a project plan and then ensuring that project plans and requirements are met and completed on schedule in order to delight our customers and within budget to keep our CFO happy. All of these responsibilities must adhere to our processes to ensure we run our projects with the right amount of rigor. Our processes are designed in a way to help project managers and teams use data and historical performance to work efficiently and avoid costly mistakes. The Project Manager position within the Product Development team involves managing projects that impact multiple solutions, products and customers. We also provide the support and leadership critical to various teams within our company. The Project Manager is responsible for planning a well-coordinated project to ensure project success and progress towards strategic goals. The Project Manager is responsible for creating a project plan and then ensuring that project plans and requirements are met and completed on schedule and within budget. Communication is key to being a successful Project Manager on the Product Development team. As a Project Manager, it is crucial to understand the challenges of the project, communicate project status and progress to stakeholders, ensure cohesive coordination between team members, and articulating the project visions and goals. This cannot be done successfully without effective communication. Leadership, planning, and organization skills are also required. A Project Manager leads and organizes the team around a common goal without direct authority. A Project Manager is also responsible for planning how the team will accomplish the work to meet this goal. The Accounting & Finance Intern records, analyzes, and provides insight into Kingland’s financial performance. From assisting in the maintenance and preparation of financial statements to updating forecasts of financial activity and completing a wide variety of adhoc project work as assigned, the Accounting & Finance Intern impacts the overall profitability and success of the organization. This position will have the opportunity to learn and gain real-world experience in a variety of financial activities such as performing bank reconciliations, fixed asset inventories, forecasting updates, variance analyses, and a number of other tasks as assigned. The Marketing Specialist develops and delivers high quality marketing results that supports Kingland’s go-to-market strategy. As marketing strategies evolve, this role requires individuals who understand branding and can quickly learn challenging concepts and technologies, but then take on tasks to deliver marketing materials. Specializations may differ, but includes writing and promoting easy to read content, developing and producing videos, designing and creating marketing collateral, organizing and running events, and run lead generation and marketing promotion campaigns. Good collaboration skills, a strong point of view, and a genuine interest in B2B marketing differentiation are a must for our Marketing Specialists. The Human Resources/Administrative Intern provides support to Kingland’s Human Resources team in the areas of recruiting, onboarding, training, and performance management. Additionally, this position performs administrative office functions in Kingland’s Ames office and to the employee base. Strong communication, self-motivation, and attention to detail are key to success in this internship due to the frequent interaction with employees, potential employees, visitors, clients and vendors. The Human Resources/Recruitment Intern provides support to Kingland's Human Resources team and Kingland Recruiter, in the areas of recruiting, onboarding, event planning, and other areas as assigned. Such tasks include assisting with the on-boarding process, assist Kingland Campus Recruiting with a variety of recruiting needs, assist with administration of Advanced Intern Professional Development Series, collaborate with Kingland marketing to make updates to the recruiting website, career fair handouts, and social media accounts, assist with the Advanced Interns, and provide support and assistance in other areas of human resources as needed. 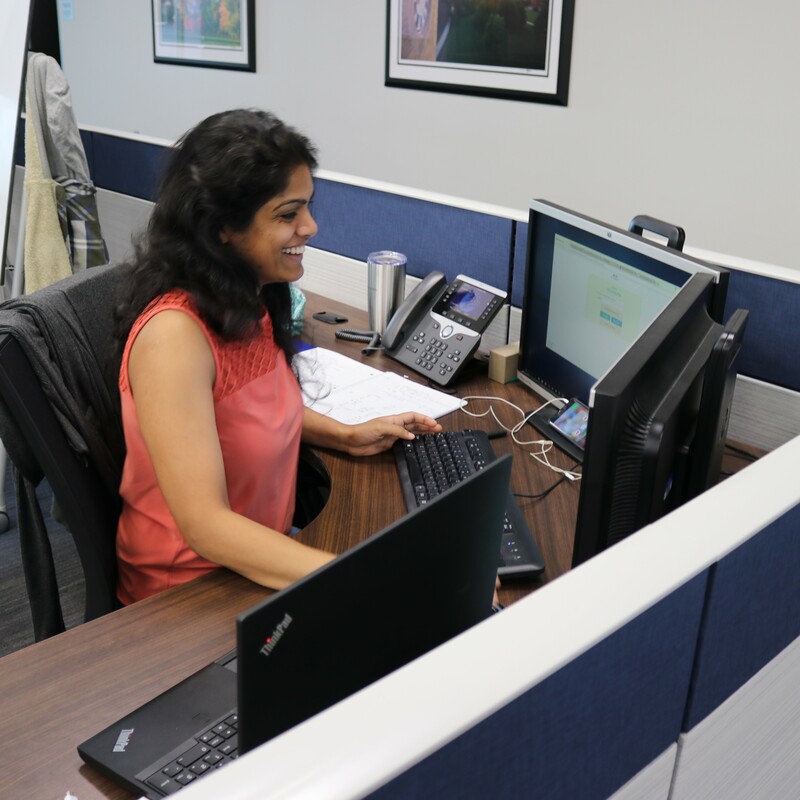 Statistical analyst interns on our Process Initiative team heavily focus on analyzing performance data that will improve quality, estimation, efficiency, productivity, and predictability across the organization. The statistical analyst intern will help in the creation and maintenance of reports and predictive models. They will also explore the existing data and determine ways to refine our presentation or data collection methods. Another major focus of the statistical analyst internship is refining communication skills of statistical concepts to a variety of audiences to provide the most informative and beneficial information to guide team activities. At Kingland, you'll be able to see your code in production. If you are passionate about building software, then a Software Engineer position at Kingland is for you. We are simply fanatical about building software componentry and capabilities that meet the ever-evolving needs of our clients, tirelessly improving upon what we’ve done before to continuously push the boundaries on what we can accomplish. With an eye towards creativity and innovation, we are constantly researching and leveraging new technologies to more efficiently solve the business problems that are in front of us. Product Development Software Engineers at Kingland have the opportunity to work within modern programming languages and a full stack of technology that supports our Kingland Platform and solution implementations, from cloud-optimized data repositories and microservices architecture in the back-end, to the latest in web user interface technologies in the front-end. All of this work at Kingland is done in a collaborative team setting, so if you love to work with others towards an end goal of delivering some of the best software possible, then we’ve got the team for you. AI Engineers at Kingland leverage the latest advances in software-based AI to personify and automate some of the most challenging data management automation business problems surfaced to us from our clients. If you have a deep passion for the fields of AI and Machine Learning (ML), with a particular desire to leverage advances in AI and ML to solve real-world business problems, then an AI Engineer position at Kingland is for you. Our work within AI continues to evolve but has been firmly rooted for years in two primary areas: bringing structure to the treasure chest of data found within unstructured textual content, and building learnable predictions from vast datasets. Creativity and innovation is a must for any Kingland AI Engineer, as we are expected by our clients to keep pushing the bar higher for what’s possible in the world of data management automation. AI and ML work at Kingland leverages the latest in open source and cloud-optimized technologies in the space, and it contributes to the foundation of capabilities within our Kingland Platform. Team-based collaboration is key for Kingland’s delivery of the best possible capabilities in this field, so if you love to work with others towards this type of end goal, then the Kingland AI team is for you. At Kingland, our Professional Services engineers, develop in-depth domain knowledge of our clients' businesses as well as expert level technical knowledge of the Kingland Platform and related technologist. Our job is to accurately understand the customer needs and assemble a solution that meets and exceeds those needs using our platform components. We bring a healthy dose of creativity and innovation to the job to ensure we develop user interfaces that delight our customers. It is critical to determine how to best embed the new solution into our clients' existing software stack. As a result, we engage heavily with the clients to ensure we design a solution that meets their specific needs. We often have to describe and explain our work, requiring us to adapt our communication style to different audiences as some of our stakeholders are more technology-savvy then others. It is important to us to organize our time but yet remain open to handle unexpected challenges, as every project has deadlines, and unexpected delays and other events can throw a schedule off track. Being a Professional Services engineer is not for the faint of hearts, as we often have to buckle down as deadlines loom, but it is very challenging and rewarding role in which our teams of engineers are constantly sharpening their technical and soft skills on a daily basis. At Kingland, our DevSecOps Engineers must have dedication to make our people, process, and technology the best it can be. 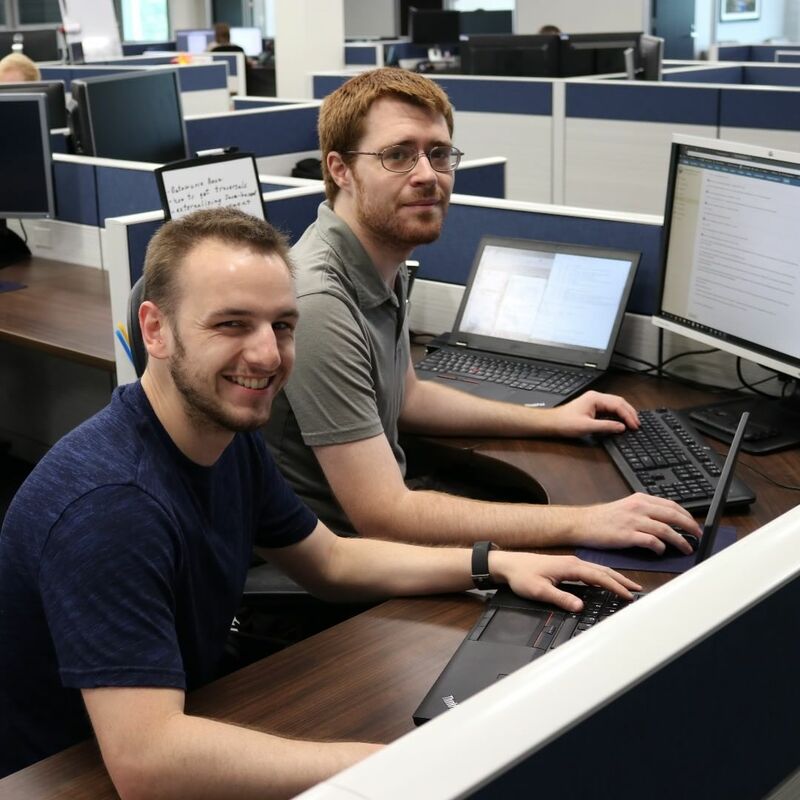 Our DevSecOps engineers are focused on supporting the organization by learning new technologies and solving problems that can increase efficiency, improve security and make work at Kingland better for our employees. 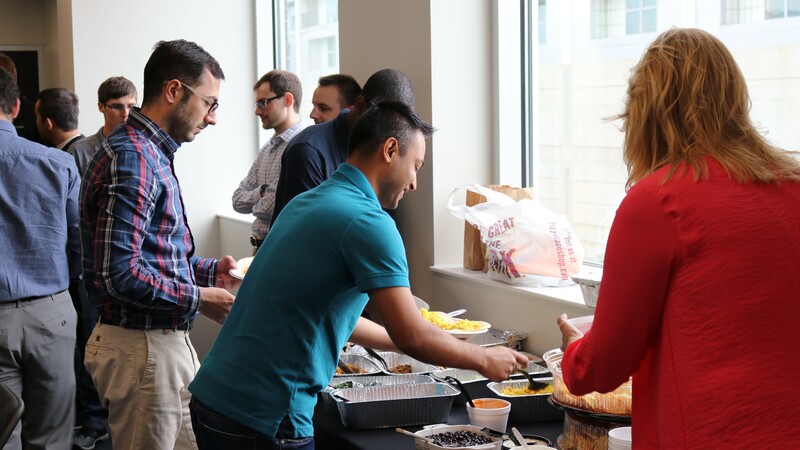 In order to know our "customers", our DevSecOps engineers must build meaningful relationships with all Kingland employees to discover the ways we can enable efficiency and positivity. 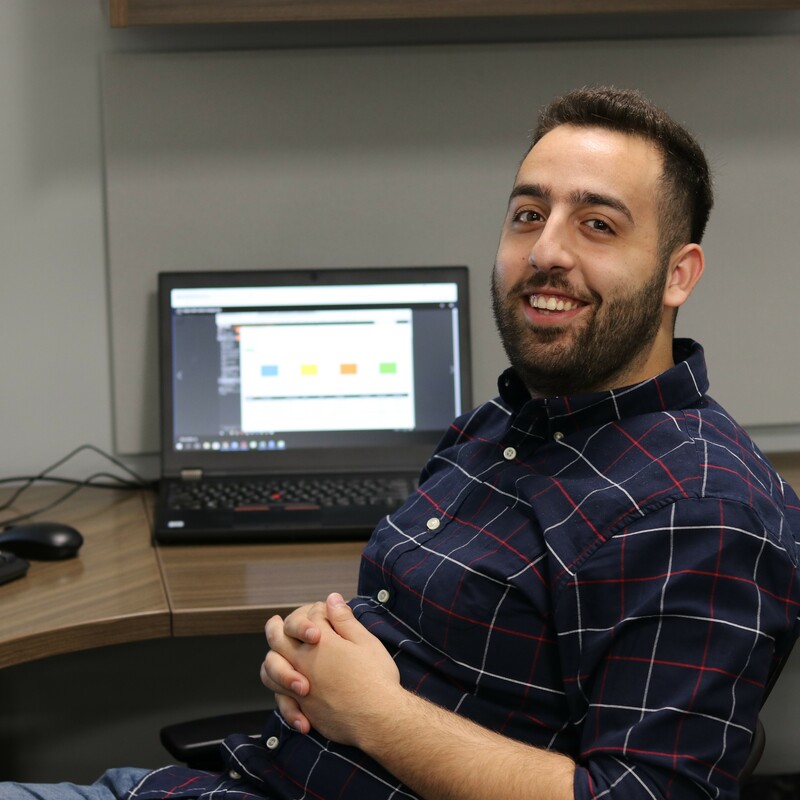 Our engineers have the ability to use our process to become an expert for our company to rely on or use their creativity to design a better way that will delight our employees by making their jobs easier. Our DevSecOps engineers have the ability to become an expert in some of the most exciting technology of this generation and share their knowledge across the company or in front of customers. If you love working with the newest technology and supporting the organization in a positive way, a DevSecOps engineering position may be for you. 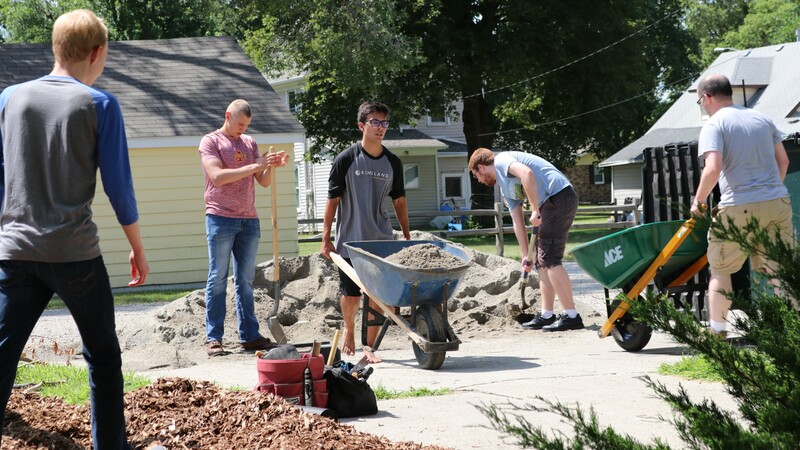 Benefits of the DRA position include the convenient location across the street from Iowa State University’s campus, flexible work hours, and real-world work experience a short walk from your classes. High pay and a fast-paced work environment is attractive to most of our interns. Being a top paying internship company, we give our interns tasks that provide real opportunities and responsibilities. We expect hard work, so we compensate for it. Using cutting edge technology, you will be working right along side our full time employees having a direct impact in the company's success serving our clients or helping to build the newest features in our Kingland Platform. Being close to campus allows for great flexibility to work between classes during the school year. With our relaxed atmosphere and business casual dress code, you can dress for both school and work. Through our internship program, you will collaborate with other interns, full-time employees, and be part of a team which can give you a jump start on career growth and knowledge. This opportunity could lead to a full-time position once you graduate. We want to make sure you enjoy your summer and experience the culture and people of Kingland. 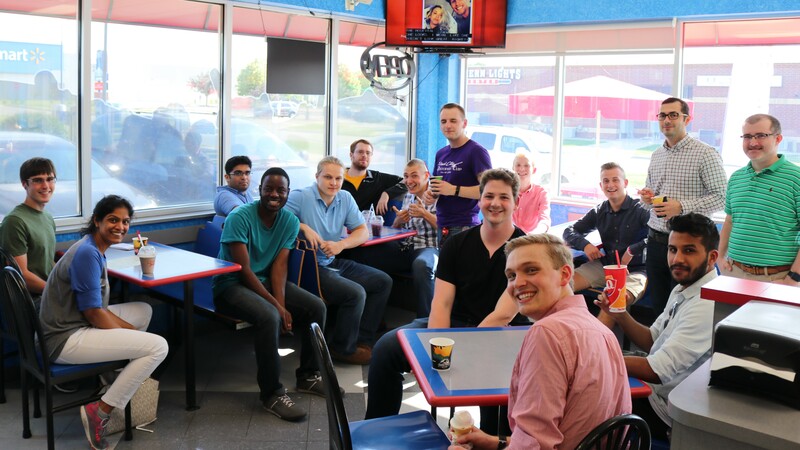 Our interns participate in many fun outings such as a grill out, happy hour, a day in Des Moines, and so much more! 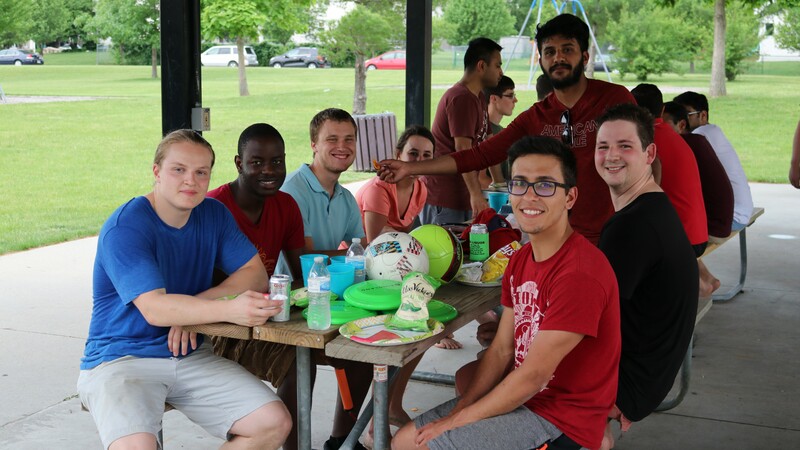 The summer intern group participates in many lunch and learns throughout the summer to gain a full knowledge of who we are and what we do at Kingland, as well as providing information to launch your future and career. To top it off, catered lunches are provided. Each intern is assigned a manager who will guide their work and team throughout the summer. This manager will also act as their mentor, helping them to navigate organizational culture, solve problems, and enhance their intern experience. 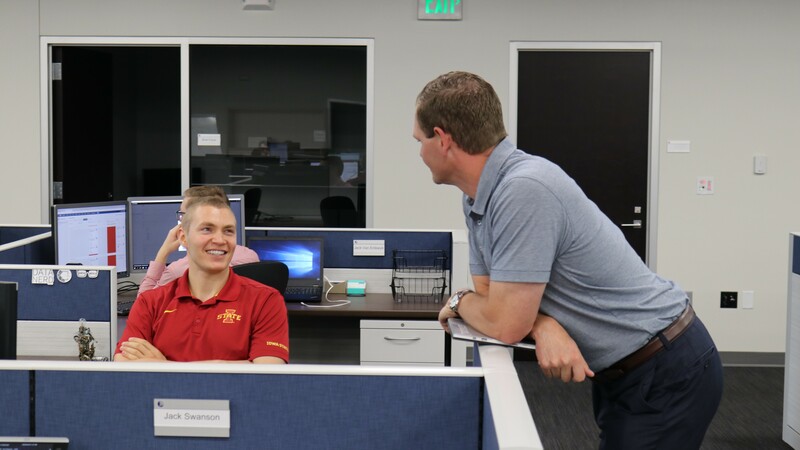 The summer interns will be assigned a work coach that they can turn to on a day to day basis to ask questions or help them network through the company. The work coach will treat the intern to monthly outings to aid in this program. "As an intern I get a lot of opportunities to interact with the senior management. I love the work culture here at Kingland wherein I need not hesitate seeking any sort of help from anyone." "My internship at Kingland has helped me develop skills that I need in my early career. After having the opportunity to explore Java Spring Boot, I will be able to implement it in my future projects."